a User Experience/Product Designer based in NYC. I'm a designer curious about the way people think about and live with technology. My goal is to shape these technological experiences so that they ignite curiosity, joy, and thought. I help businesses flourish by designing products that people need and love. I'm currently on the lookout for new and interesting opportunities. If you have a project or role you think would be a good fit for me, please be in touch. a User Experience and Product Designer based in NYC. I'm about shaping product experiences that not only look and feel good, but that leave a lasting and positive impact. I'm currently on the lookout for new opportunities and collaborations, so please feel free to reach out. I'm a designer curious about the way people think about and live with technology. My goal is to shape these technological experiences so that they ignite curiosity, joy, and thought. I'm currently on the lookout for opportunities, both fulltime and freelance. If you have a project or role you think would be a good fit for me, please be in touch. I completed a short design challenge focused on Ollie's checkout process. 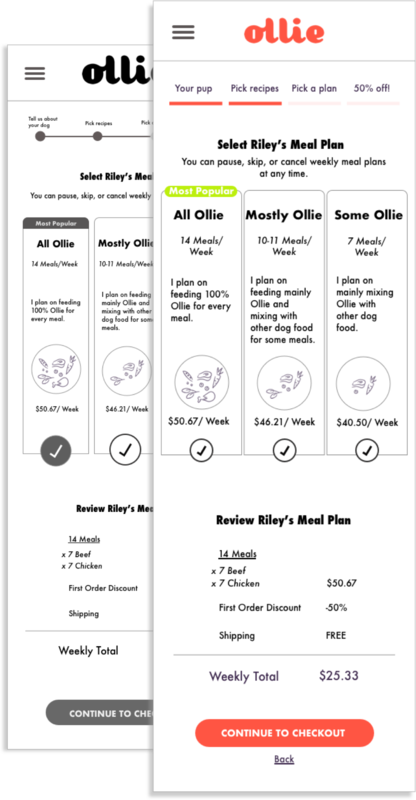 Ollie is a human-grade dog food provider that aims to give each dog the healthy diet they require through personalized offerings. I was asked to complete this design challenge as a part of the Ollie interview process. Ollie is a human-grade dog food provider that aims to give each dog the healthy diet they require through personalized offerings. 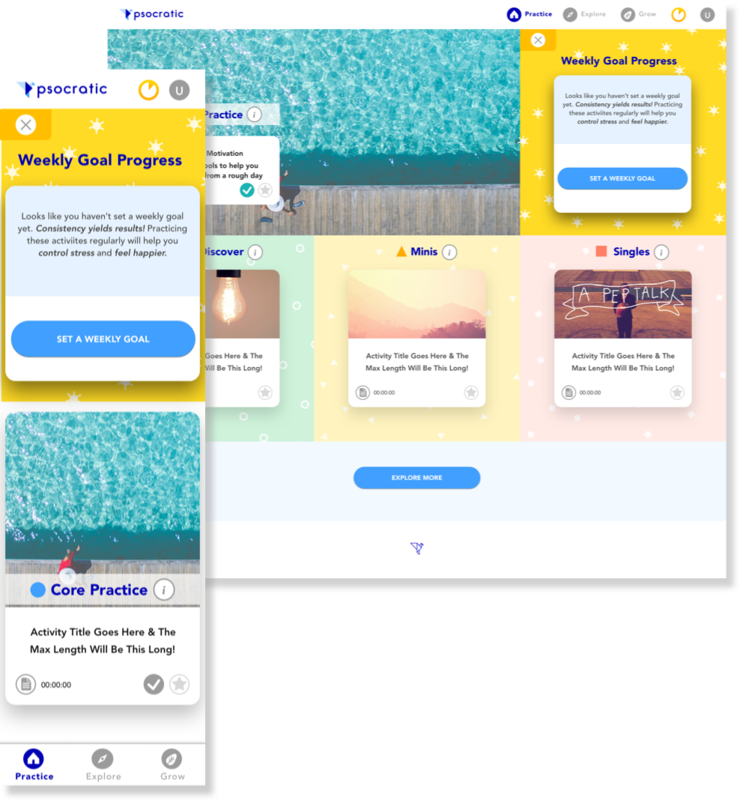 Psocratic is a wellness web app focused on building a healthy social environment in the workplace through meditation and other mindfulness exercises. I was brought on as a UX/UI Designer to conduct user research and provide design recommendations for incoming features, including a goal setting feature. 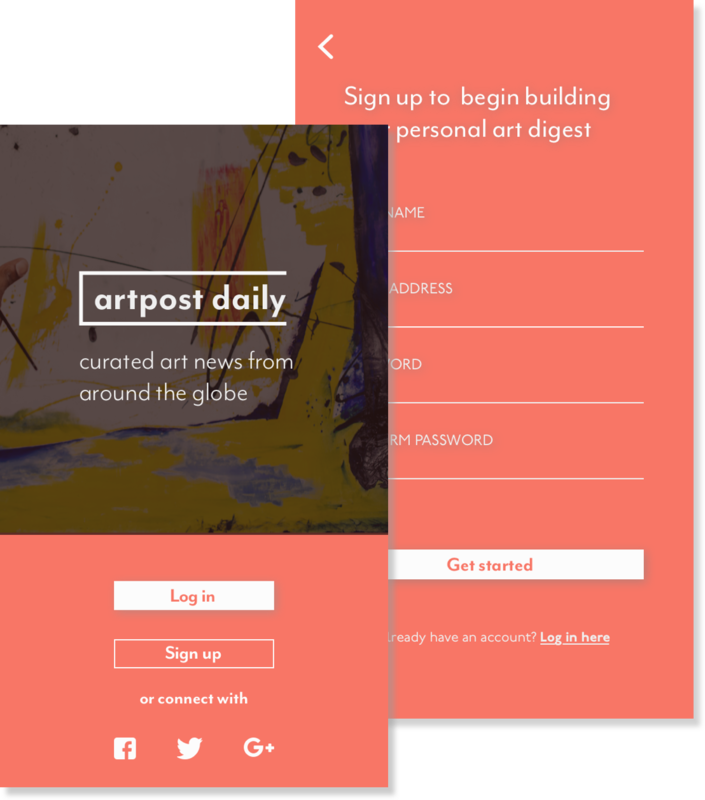 Daily UI is a user interface design prompt sent daily to your inbox. The prompt provides an avenue for me to push my interfaces to the next level and to challenge myself creatively. I'll be uploading my interfaces intermittently. 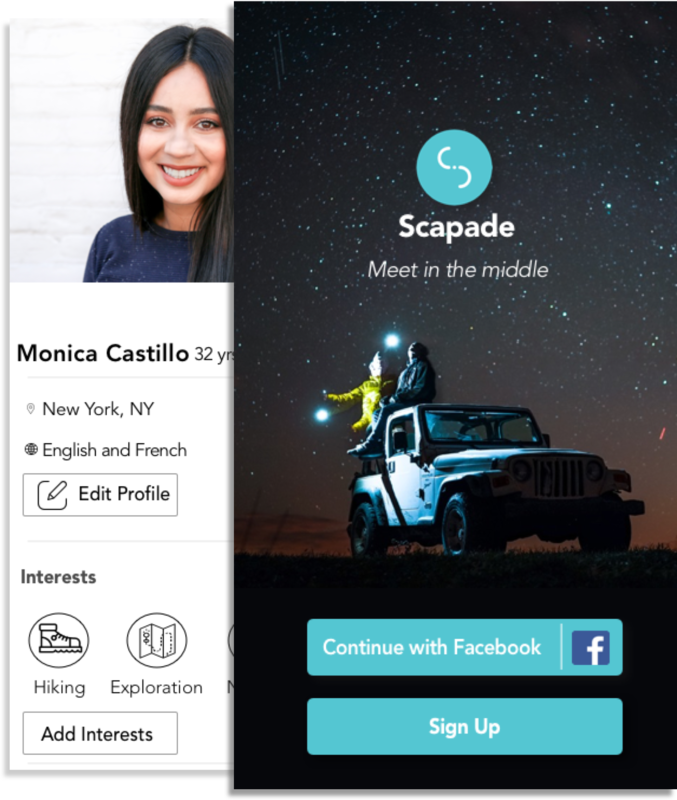 Scapade is an app that focuses on building meaningful relationships between travelers and the people who live in the countries they are visiting. I was brought on with a team of two fellow UX Designers to conduct extensive user research and to provide a prototype incorporating our design recommendations based on user insights. LinkedIn provides an extensive professional network through their main product offering and learning opportunites through their newest addition, LinkedIn Learning. I, along with two other designers, explored how we could bridge the gap between these services and offer support to those beginning a new career path. 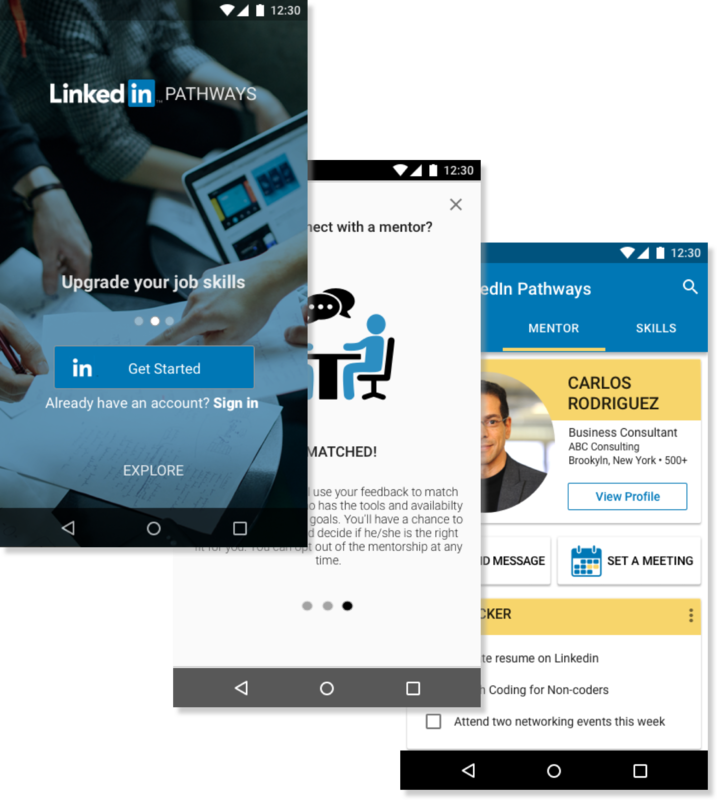 The result was LinkedIn Pathways, a mentor matching service. LinkedIn provides an extensive professional network through their main product offering and learning opportunites through their new addition, LinkedIn Learning. I, along with two other designers, explored how we could bridge the gap between these services and offer support to those beginning a new career path. The result was LinkedIn Pathways, a mentor matching service. 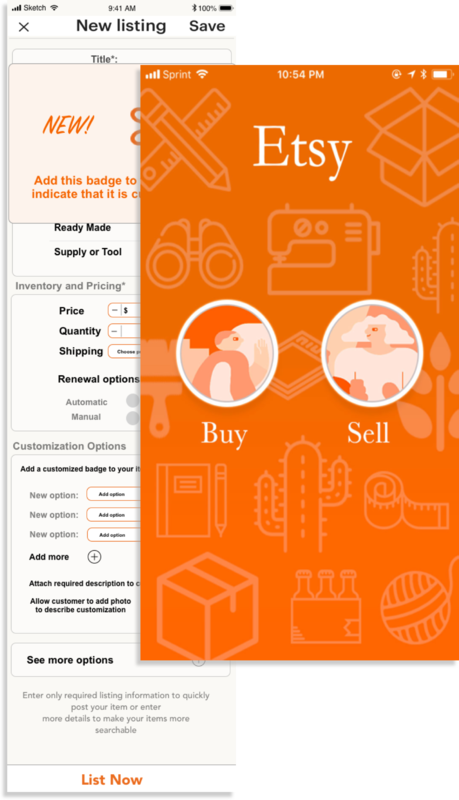 Etsy is a marketplace built to connect makers with customers. Many items can be customized to a customer's preference. We (a team of 3 UX Designers) aimed to improve communication about customization offerings and specifications through changes in the user experience.